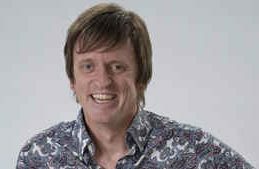 Murray Cook is, of course, one of the original Wiggles. A founding member & guitarist of the group who proudly sported the red skivvy. Cook has sold over 7 million CDs & 23 million DVD’s worldwide, is a member of the Order of Australia and was inducted into ARIA Hall of Fame in 2011. In recent years, Murray has been a recurring guest on Spicks and Specks and, brilliantly featured in the DZ Deathrays film clip for ‘Like People’. Additionally, he currently plays guitar for The Soul Movers. ISG is proud to be working exclusively with Murray for all upcoming speaking appearances. With previous hosting roles including the AIR Awards, ACU COmmencement Speech, and Eurovision Junior Host, you can expect an engaging, professional and entertaining experience from Cook at your next corporate event. Murray will take your audience on a journey of amazement when they listen to the incredible story of the Wiggles, a local Sydney rock band who transformed into the biggest children’s entertainers on the planet & one of the largest entertainment businesses in the World! The Wiggles were in fact listed at the top of Business Review Weekly’s top-earning Australian entertainers four years in a row and earned $45 million (AUD) in 2009. This is a chance to gain exclusive insight into one of Australia’s greatest ever success stories.